For sixty years, Magaña, Cathcart & McCarthy has been devoted to protecting the legal rights of accident victims. The firm specializes in all areas of personal injury and wrongful death law, including aviation, automobile, product liability, railroad, construction, medical malpractice and maritime law. The firm is distinguished by its unsurpassed expertise in the areas of aviation, medicine and product design. Trust, Knowledge, Experience and Results are the foundation of our firm. When a serious accident occurs, most victims or their surviving families are confronted with an immediate physical, emotional and financial loss. They are also confronted with the question of whom to trust. Since 1946, Magaña, Cathcart & McCarthy has been dedicated to protecting the rights of accident victims. Throughout the firm’s history, we have been privileged to represent thousands of clients, securing substantial awards that have caused corporations to consider the safety and protection of consumers in the design and manufacture of their products. Our attorneys are experts in the areas of Aviation Law, Medical Malpractice, Personal Injury, General Negligence and Product Liability. For sixty years, the attorneys at Magaña, Cathcart & McCarthy have been advocating the rights of victims and have developed an international reputation for achieving results for our clients. Our attorneys are recognized authorities in their field and are frequently asked to share their knowledge as speakers and instructors at legal seminars and educational institutions. Our attorneys are frequently sought out by the media for quotes and commentaries on mass disaster litigation. Our attorneys are rated “AV” for preeminent legal ability and highest ethical standards by Martindale Hubbell, the national directory of attorneys. Our firm’s outstanding client work has achieved broad recognition. Most of our clients are referred to us by former clients and other attorneys, who have come to rely on us for our expertise in complex, specialized litigation. We build lasting relationships with our clients by delivering results. In the case of The Golden Buddha Corporation vs. Ferdinand & Imelda Marcos, the firm obtained the largest verdict awarded in the history of legal jurisprudence; over $43 billion, plus interest at $11 million per day. Clients who have entrusted our firm with their legal representation include the late actress Bette Davis, and the families of New York Yankee Thurman Munson, singer/songwriters Ricky Nelson and John Denver, and KFI traffic reporter Bruce Wayne. 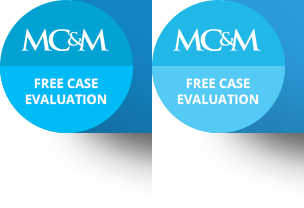 Trust, Knowledge, Experience and Results are the foundation of Magaña, Cathcart & McCarthy. Initial consultations and inquiries are offered without charge. To learn how the firm can obtain results for your specific case, please call 310-553-6630 or email our firm.